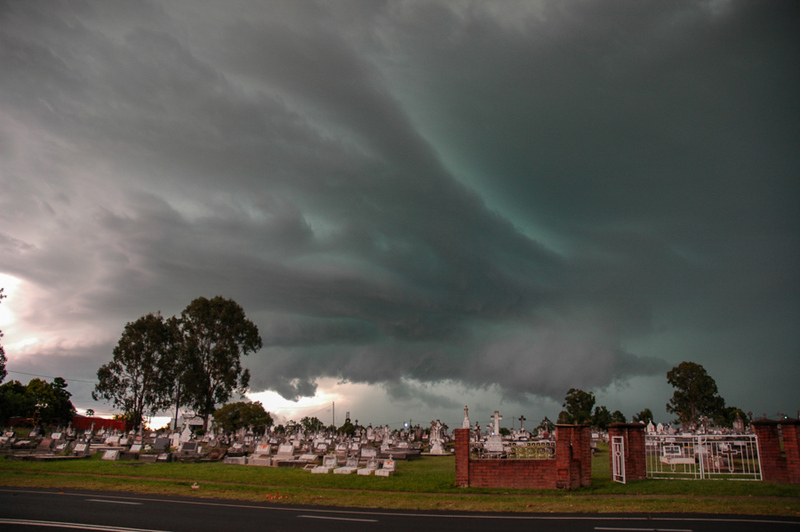 Friday 15th December was a very oppressive day in the Northern Rivers. DPs mainly around the 20 degree mark, temp 30-32, light winds and fairly cloudy with patches of thick altocumulus with convective tops. Some scattered showers resulted during the day keeping the air very sticky. Conditions were very unstable with CAPE over 2000 and LIs about -6. Shear profile was suitable for strong organised storms including supercells. 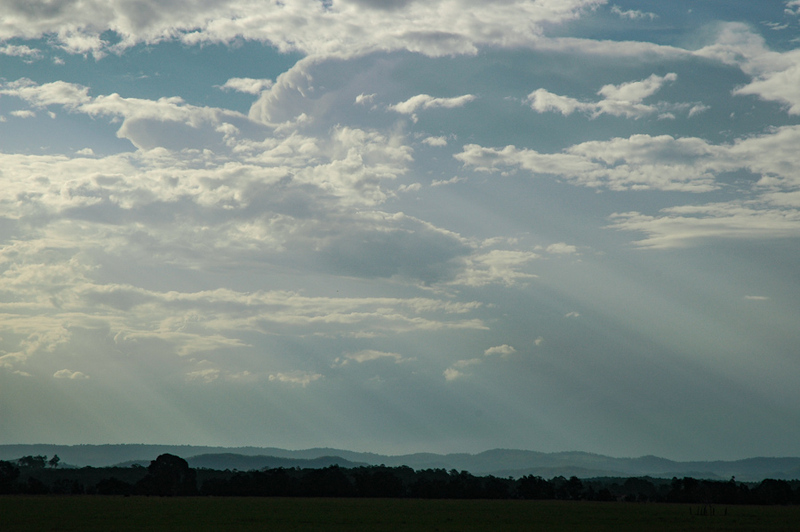 By late afternoon some thunderstorms had developed between about Armidale and Inverell where skies were sunnier. 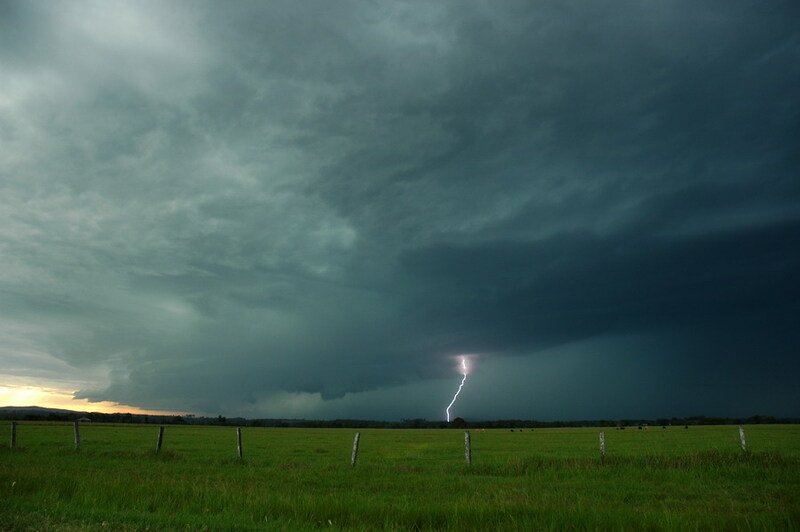 The BoM didn't issue the first thunderstorm warning until 4.05pm but it included the whole of NE NSW. My daughter Katrina was home from school so I checked to see if she was interested in her first storm chase - sure enough - yes ! 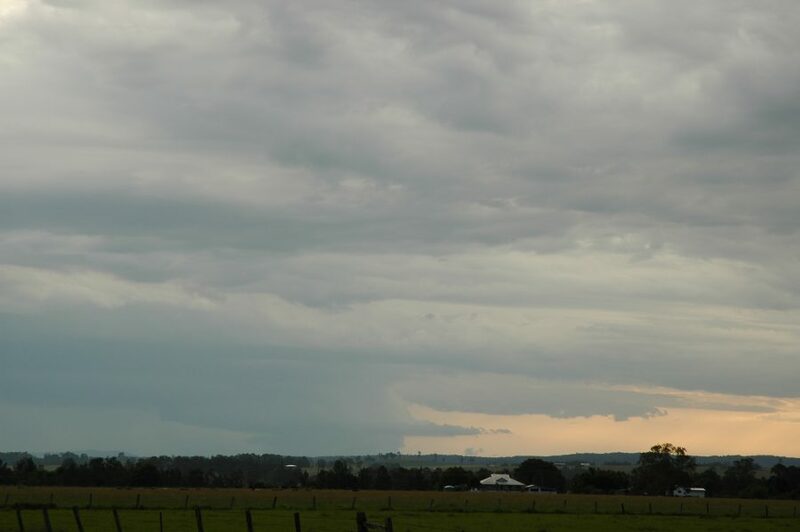 Dave Ellem came over and we left about 5pm as some cells on the Northern Tablelands looked like they would track towards the Casino area by 7pm-ish. 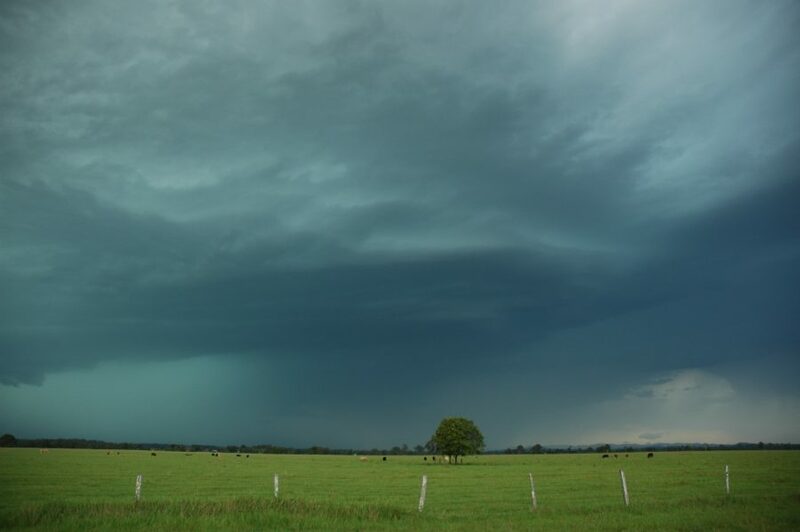 By the time we got out there those storms had collapsed to not much and the only activity of any strength was south near Woolgoolga, and north into SE QLD. We took the usual Maccas break then headed to the clear area just NW of Casino. Already fresh convection had initiated in the Upper Clarence Valley to our west. Contrast was at first poor, but gradually improved as the sun got lower and thunderstorm activity increased. We could hear thunder and soon spotted lightning from the dominating storm now moving onto the Richmond Range. 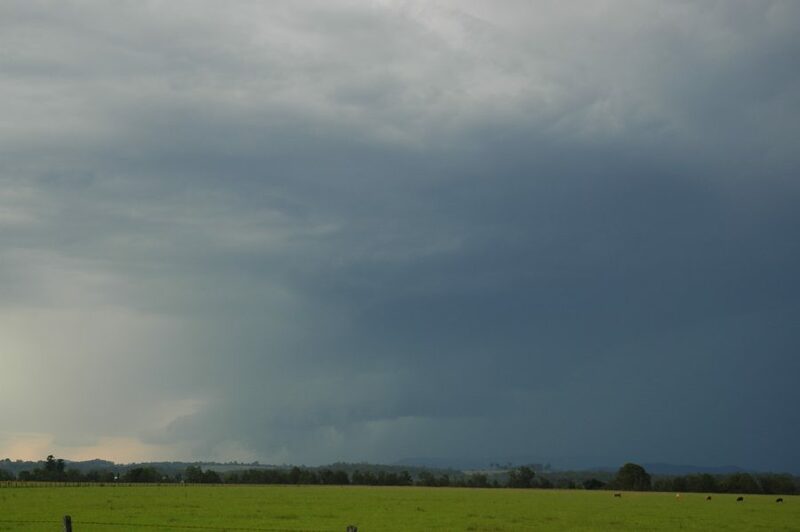 Another cell south of this one produced a very interesting LP type base on and off with regular CGs, though its updraft was obscured or looked weak when we were able to glimpse it. The main event was certainly unfolding to the west though, this continue to grow - shooting out pulsating CGs from under and near multiple updraft areas - and also the anvil region which was spreading off to the northeast. The southern flank of this complex developed the more interesting features - about the same time as much of the core took on the green tinge. 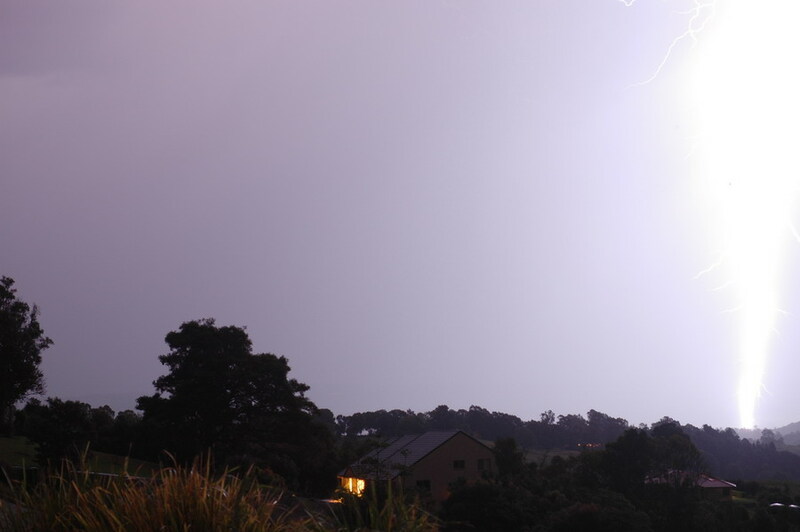 Lightning was now getting quite close but still a safe distance. 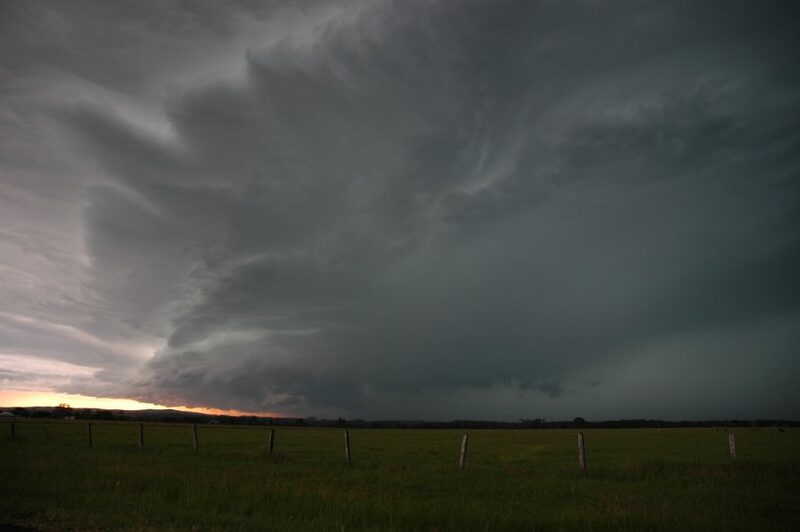 A massive multi-tiered gustfront feature formed and started to spread ESE. The storm was huge! It spread right across from SW to NW and was now rapidly advancing eastwards - not a common movement direction in this part of the world for severe storms. 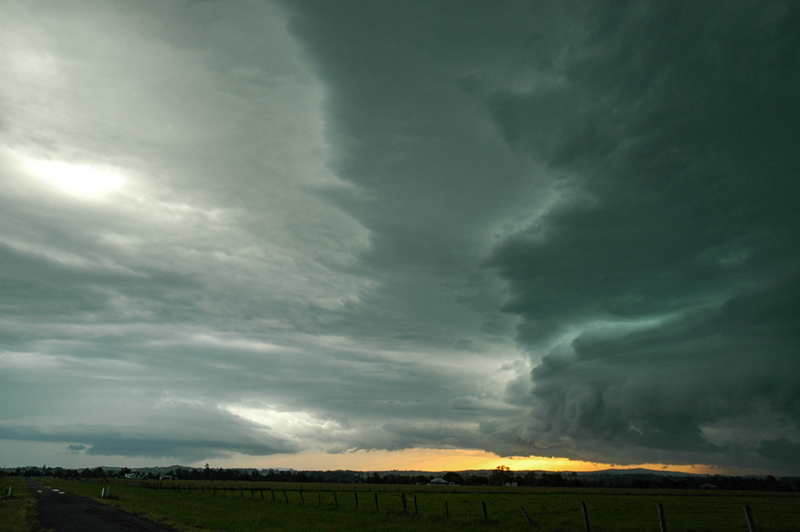 The sunset colours to the storm's SW topped off the scene. We made a move a minute or two after the first drops of rain hit. 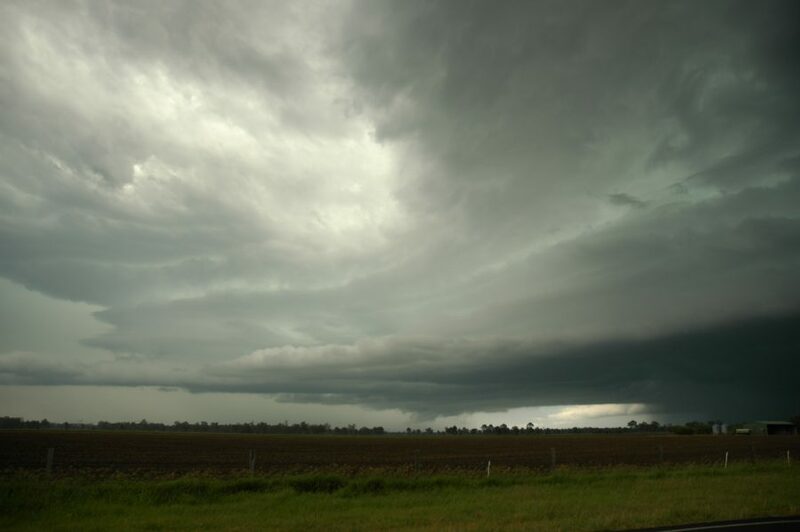 Just as well - powerful pulsating CGs started to hit just ahead of us towards the east ! We drove back into Casino and then took off down the Coraki road when heads generally SE. 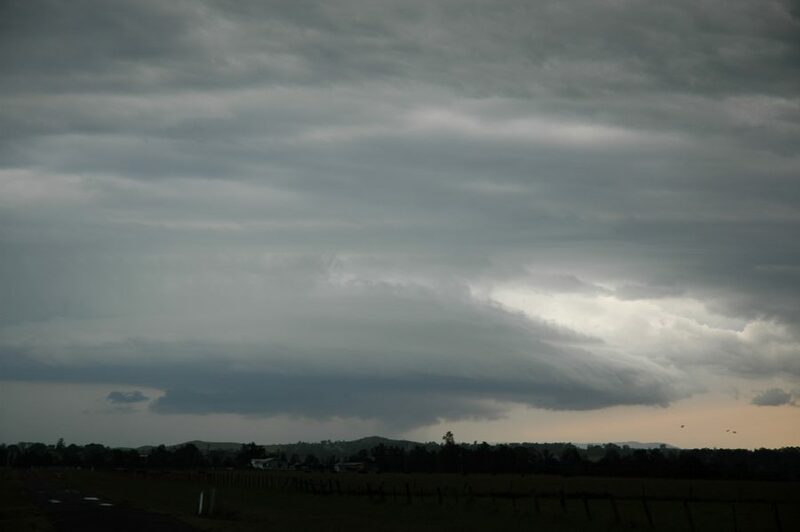 The storm structure was quite incredible by the time we got to Casino - massive boiling gust front features with constant pulsating CGs - which had now spread well eastwards on along the track the storm would take to Lismore and Ballina. However, the best storm features were definitely on its SE flank. We were able to stop briefly a few ks SE of Casino to capture the scene. I shouted it was time to go just as a huge CG hit 200 metres down the road - GEEEEEZ - did Dave jump into the car quickly ! Rain was soon to envelope the whole area - this storm was very very large. The constant barrage of CGs was phenomenal, hitting all around us, off into the distance - everywhere. The drive from just NW of Coraki and back home - which took about 45 minutes was now torrential rain with blinding lightning. Katrina was filming the show as we tried to escape it. The CGS were hitting right around home when we got there. Torrential rain was falling so it was difficult to capture any lightning but it didn't matter after watching the whole storm develop and intensify into the beast !!! 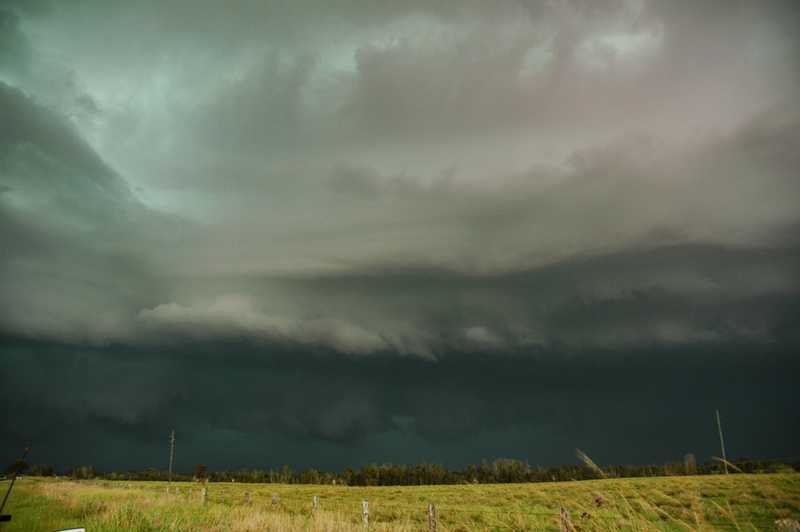 What an afternoon / evening - and Katrina's first storm chase too - needless to say she was rather impressed ! We heard some reports on UHF radio of trees and powerlines down in the North Casino area. Some areas were blacked out including parts of Ballina and Lismore.